Firefighters Train, a wooden game made by Janod, item number 08540. 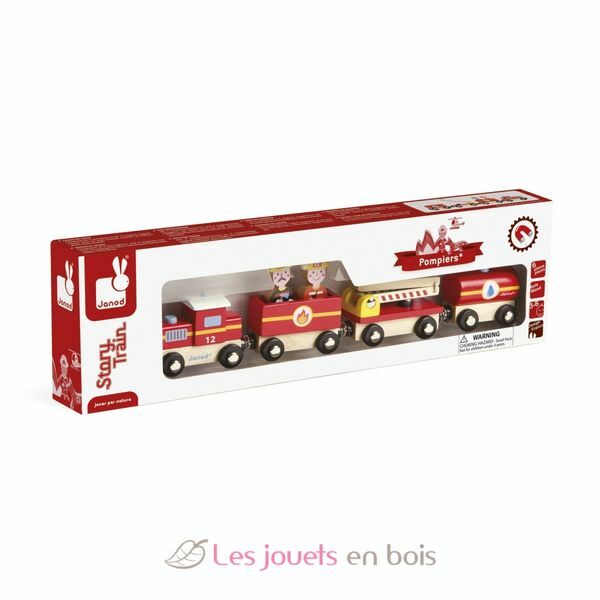 This wooden fire train is composed of 4 wagons and 2 firemen. One of the wagons is equipped with a rotating and telescopic ladder.